News release: The Virginia State Police are investigating an officer-involved shooting that occurred Sunday (Feb. 3) morning on Interstate 81 in Pulaski County. Following a hit-and-run crash in the Town of Pulaski earlier Sunday morning involving a GMC Sierra pickup truck, a Be On the Lookout (BOLO) was issued by the Town of Pulaski Police for the suspect vehicle. A short time later the driver of the GMC called 911 and notified the Pulaski County Sheriff’s Office of his location on Interstate 81 at the 104 mile marker just inside the Pulaski County line from Montgomery County. Virginia State Police and the Pulaski County Sheriff’s Office responded to that location and encountered the subject inside his pickup on the shoulder of I-81. The subject exited the vehicle armed with a shotgun. The trooper and deputies attempted to negotiate with the male subject to put down his weapon and surrender. The armed subject instead fired a shot into the hillside, then pointed the shotgun at the officers who then fired striking the suspect. The adult male subject was flown to Roanoke Memorial Hospital where he is being treated for serious injuries. In accordance with Virginia State Police policy, the trooper has been placed on administrative leave pending the ongoing investigation. 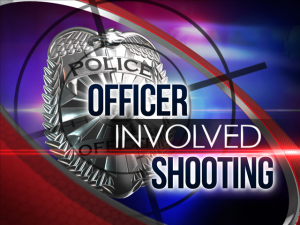 The Virginia State Police Bureau of Criminal Investigation’s Wytheville Field Office is investigating the officer-involved shooting. The investigation remains ongoing at this time.